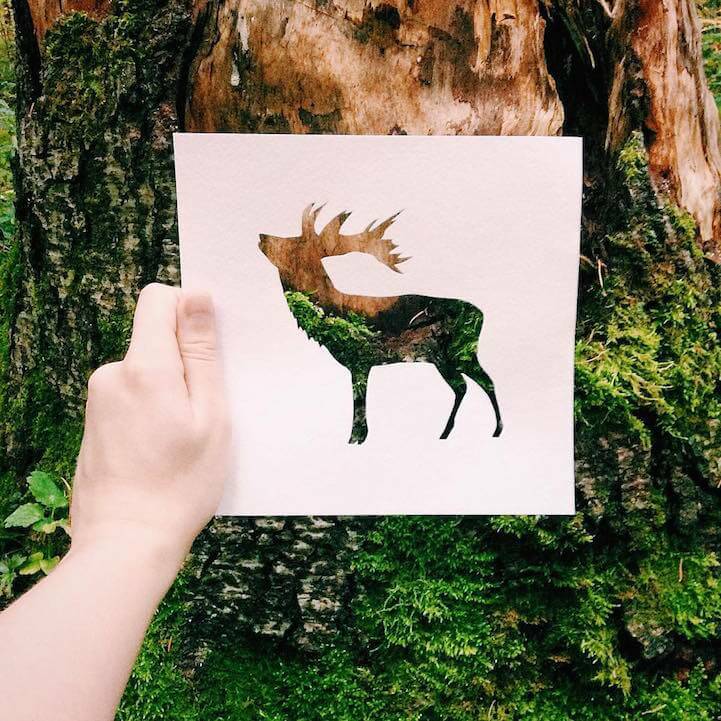 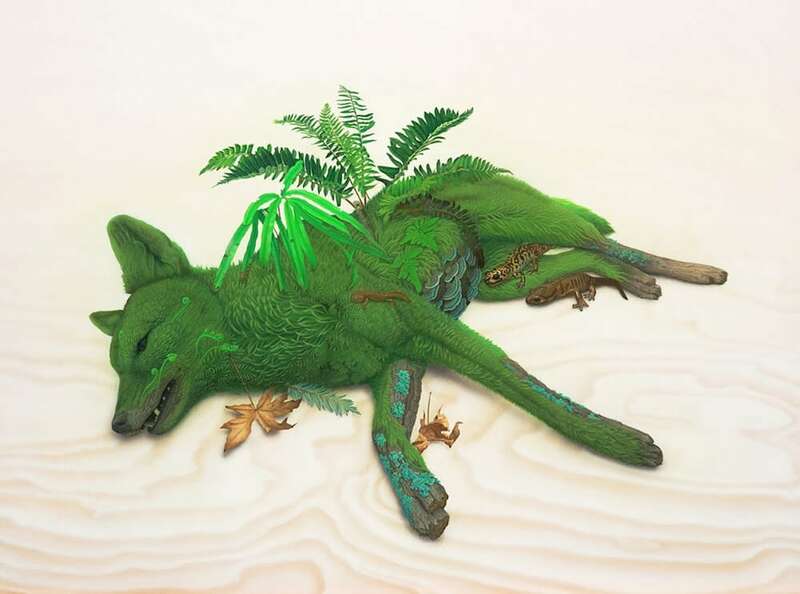 Artist Nikolai Tolsty joins forces with Mother Nature to create artwork displaying an all-natural twist. 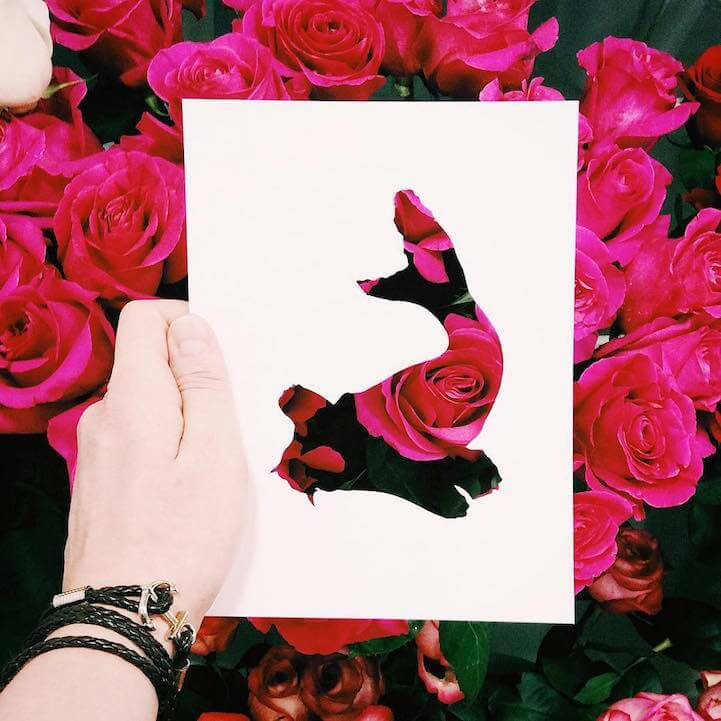 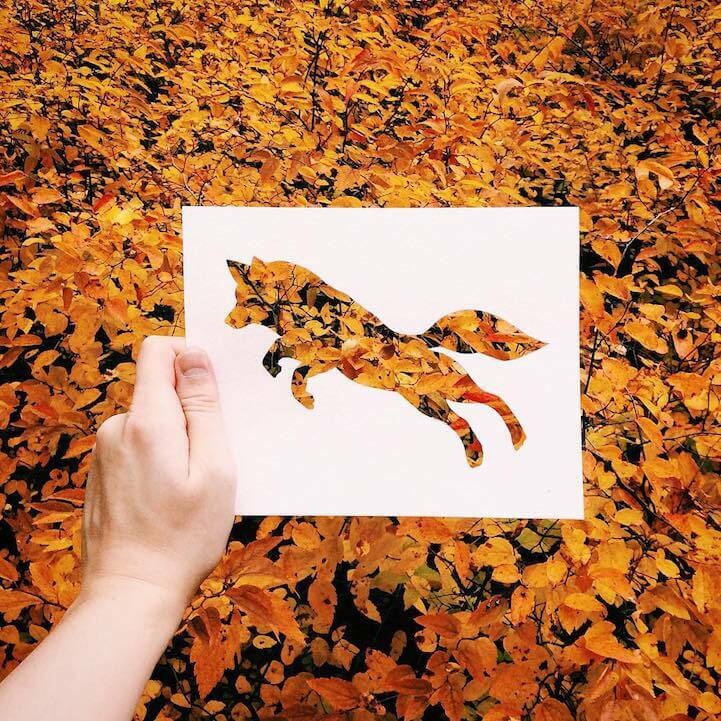 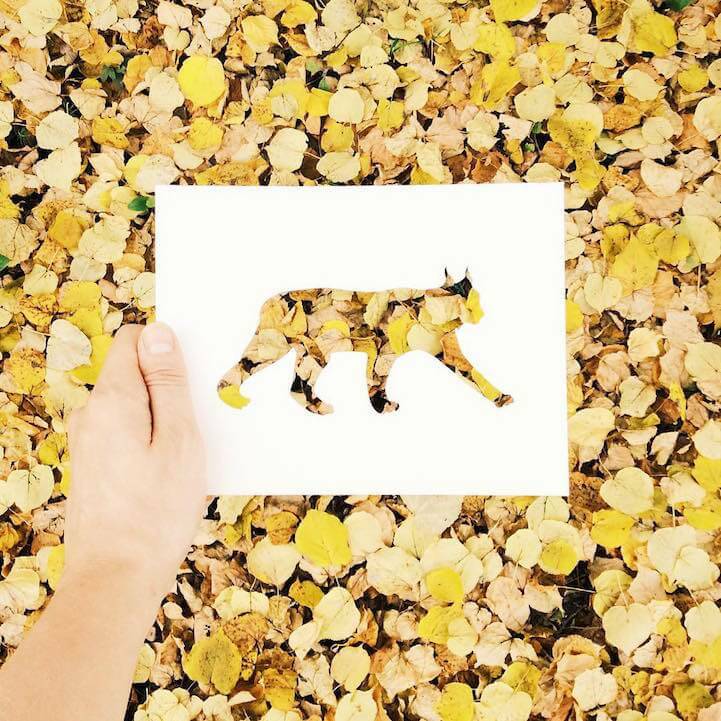 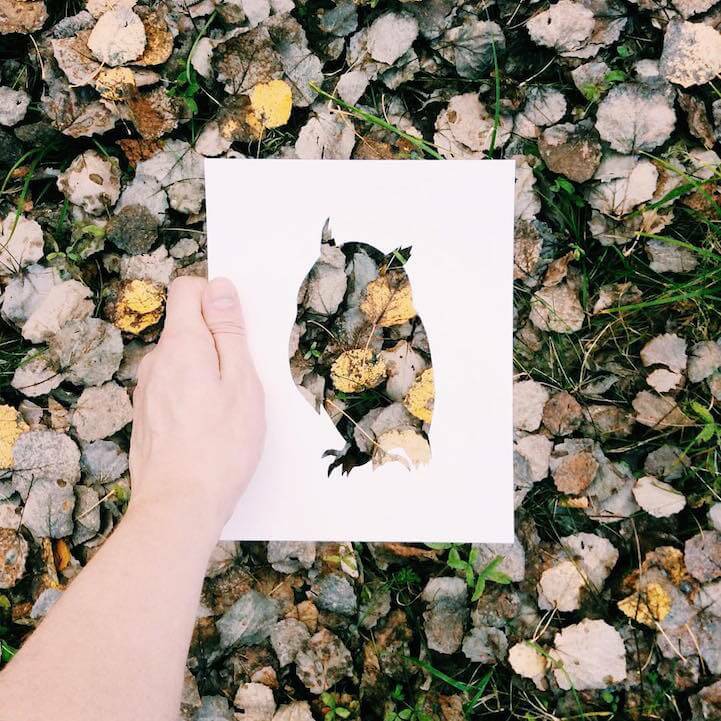 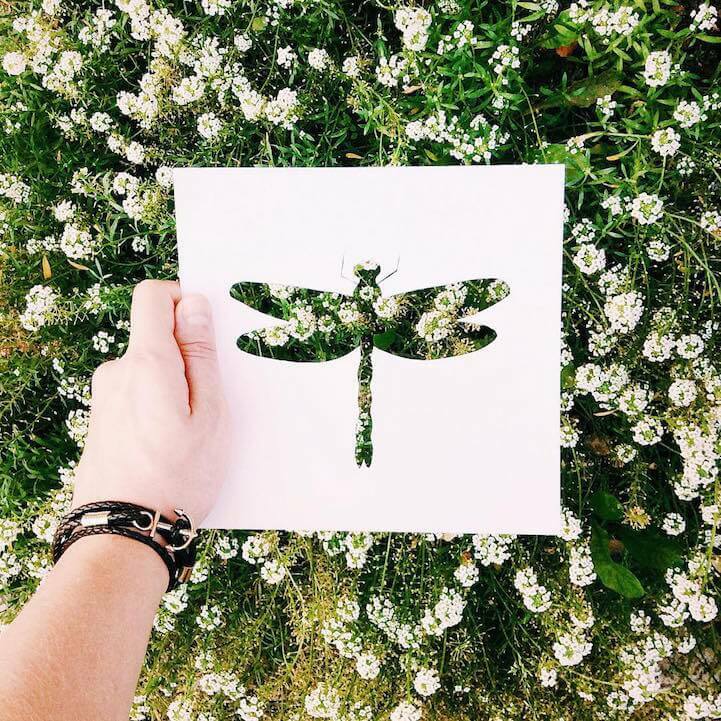 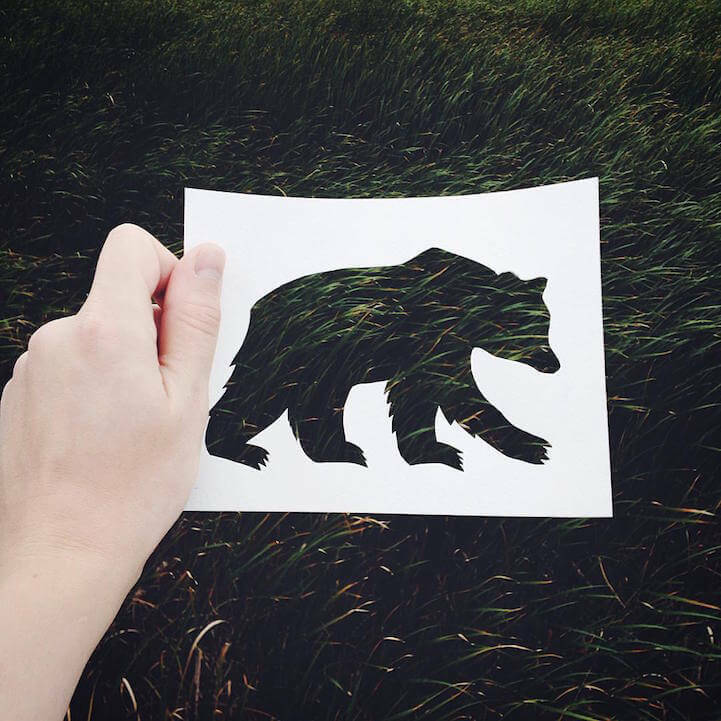 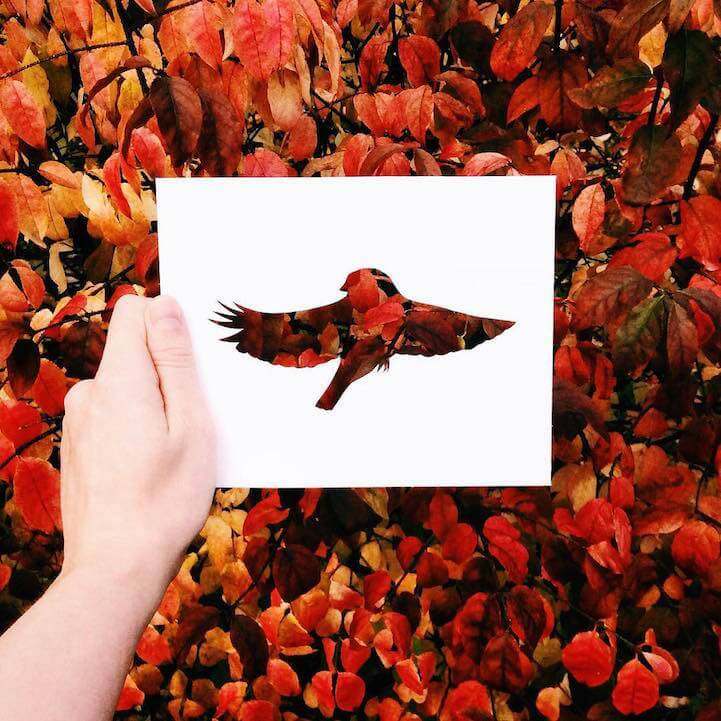 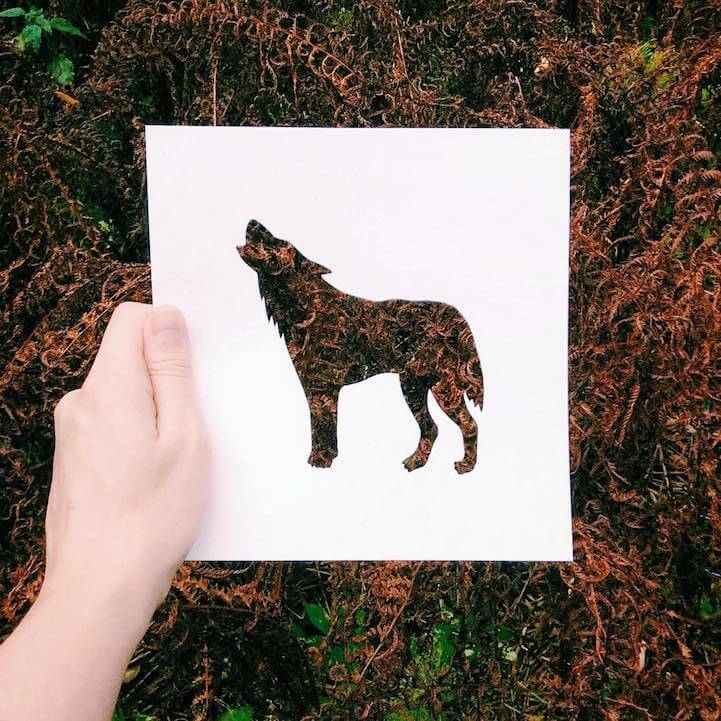 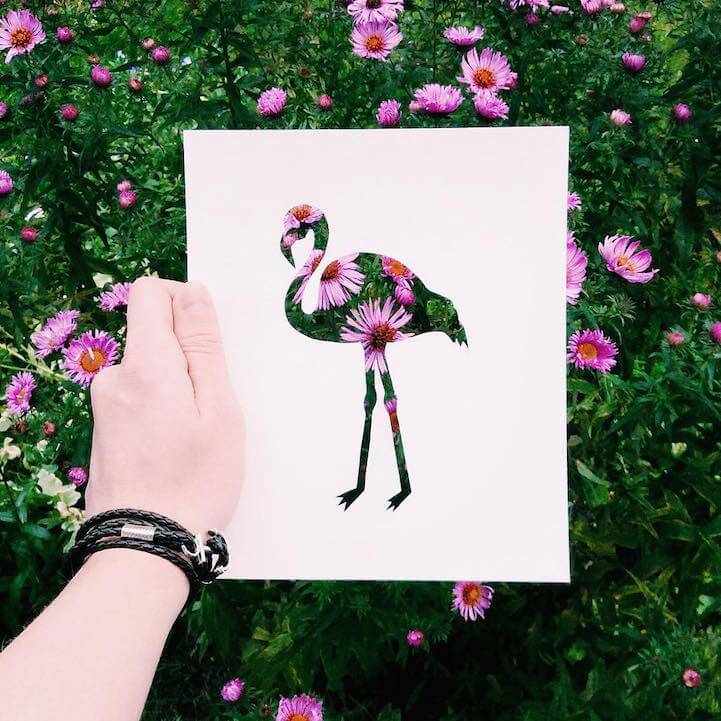 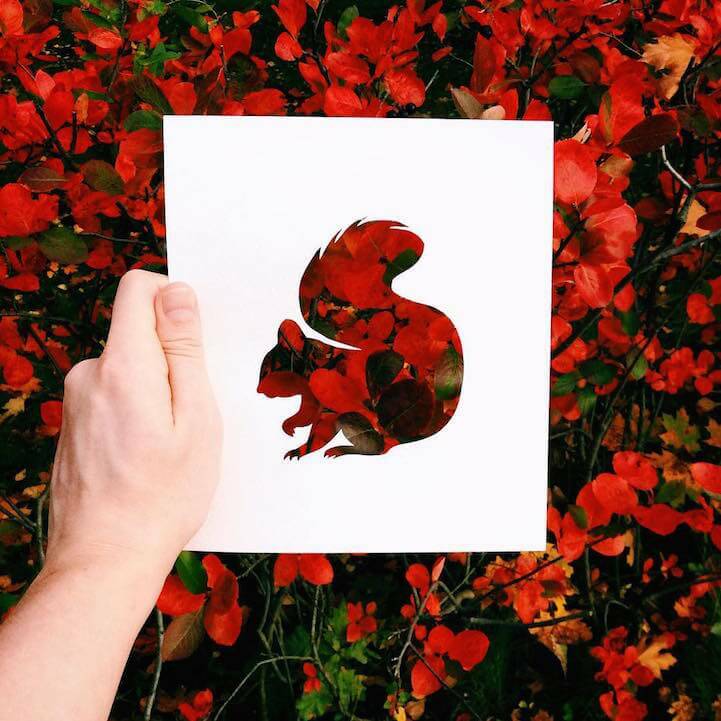 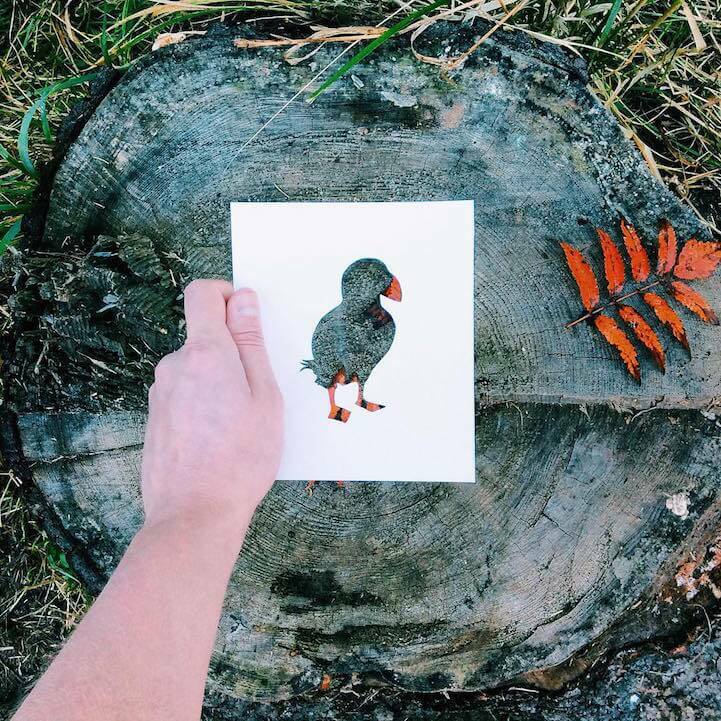 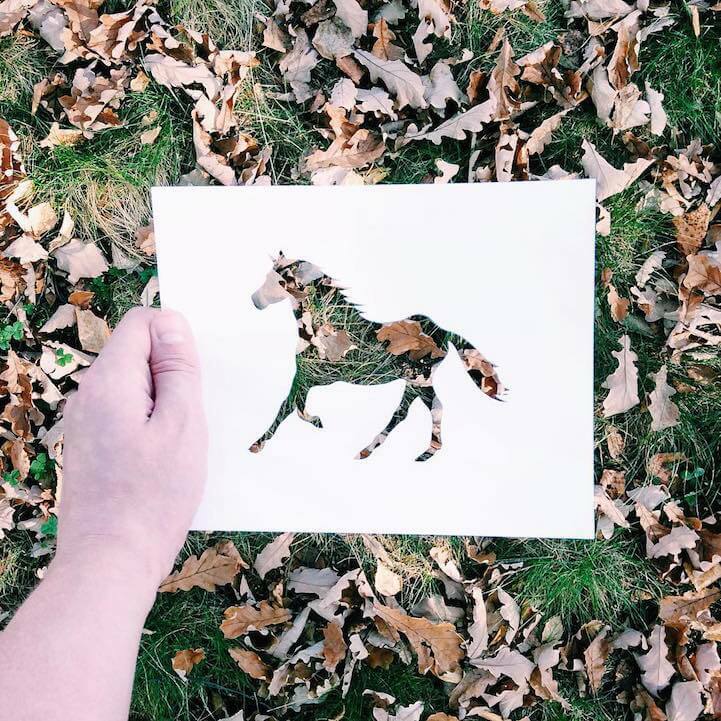 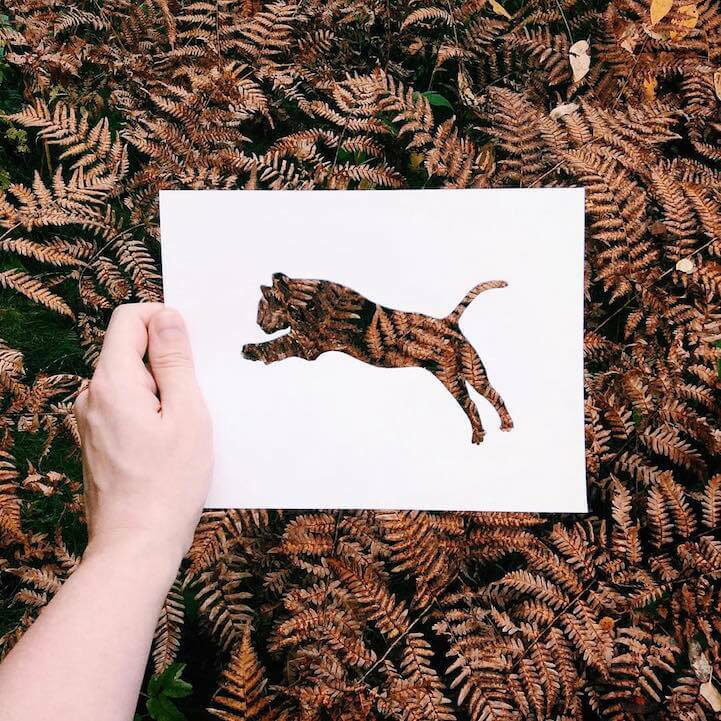 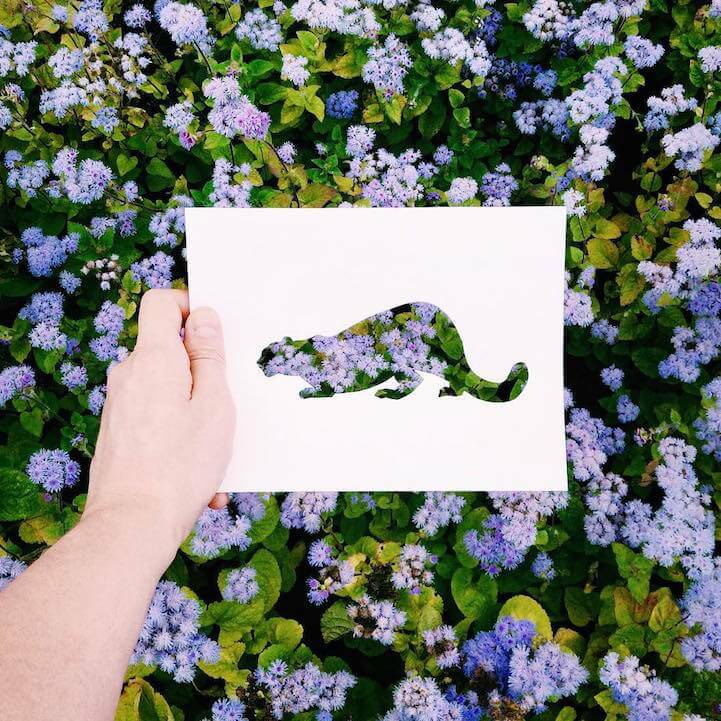 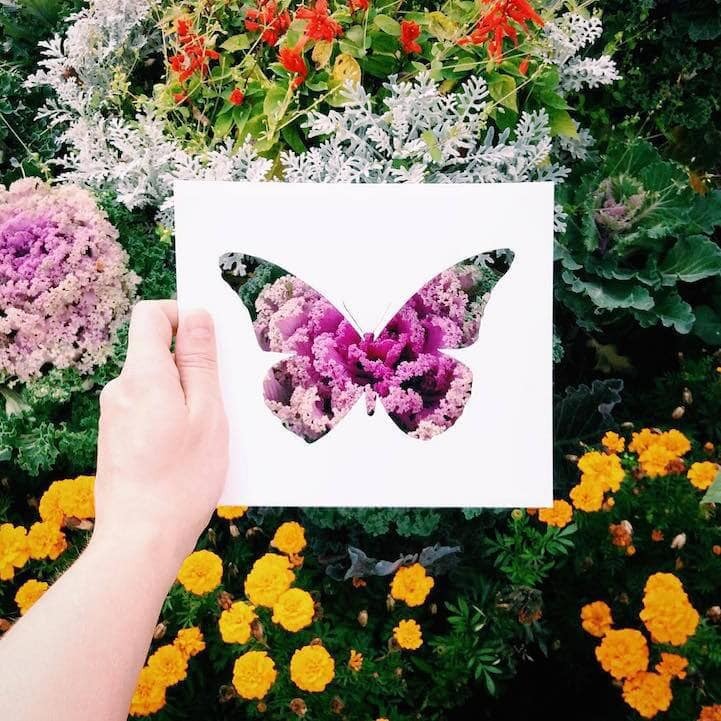 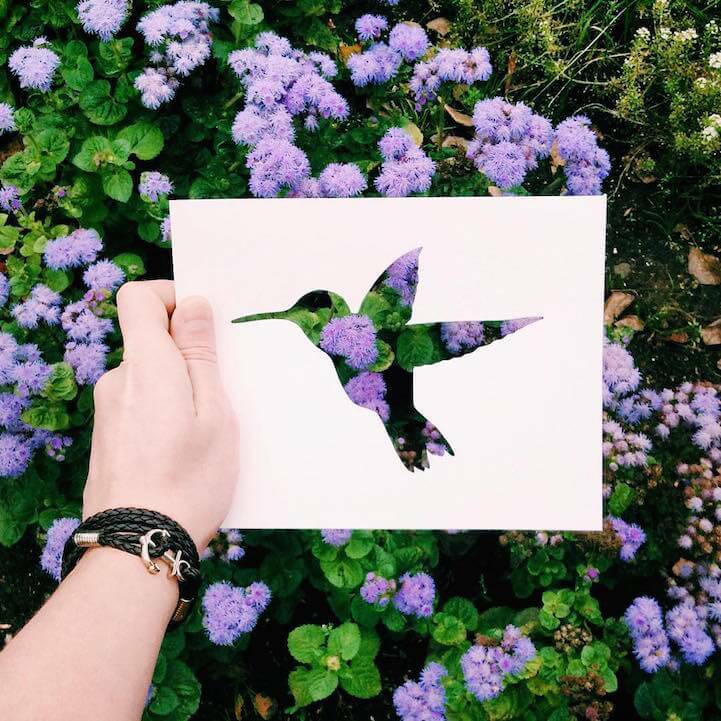 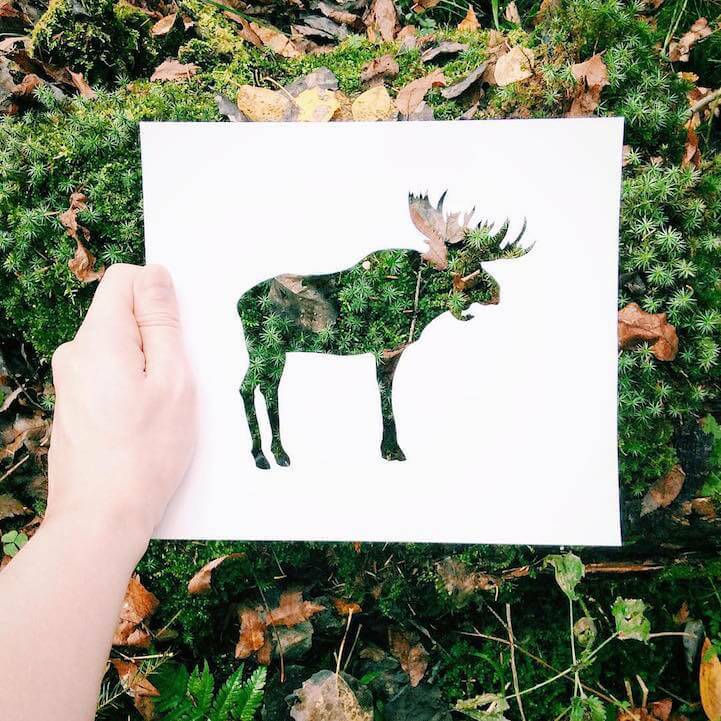 Using paper as his tool of choice, the artist cuts out a sleek animal silhouette on each sheet and moves to photograph the said cutout, superimposed on the world around him. 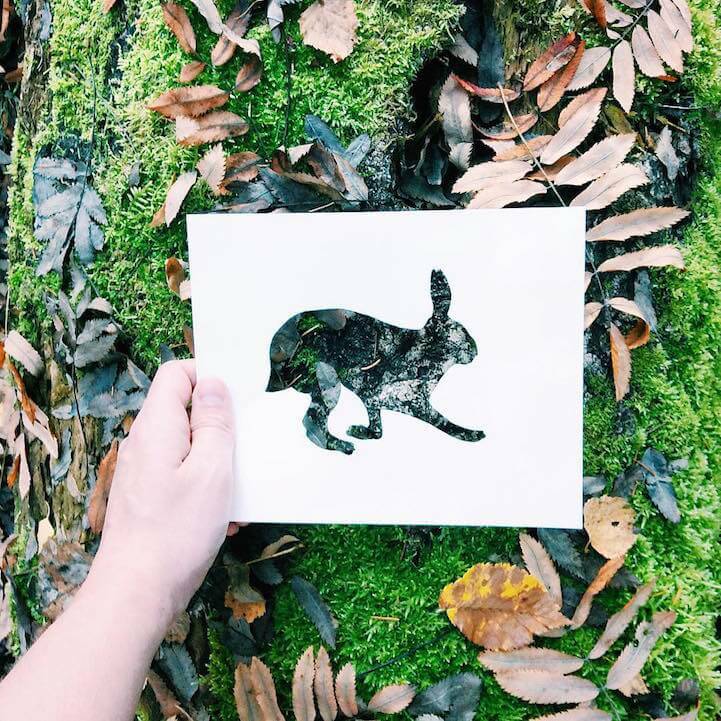 Tolsty brings his beautiful outlines into the natural world, where he searches for a genuine, engaging background. 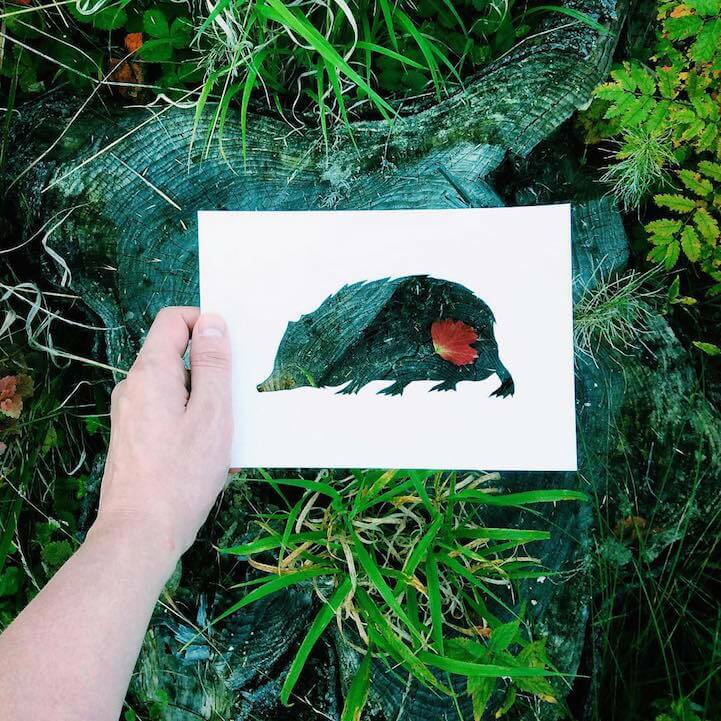 Each image in this photo project settles on a section of scenery that honors his latest paper creature. 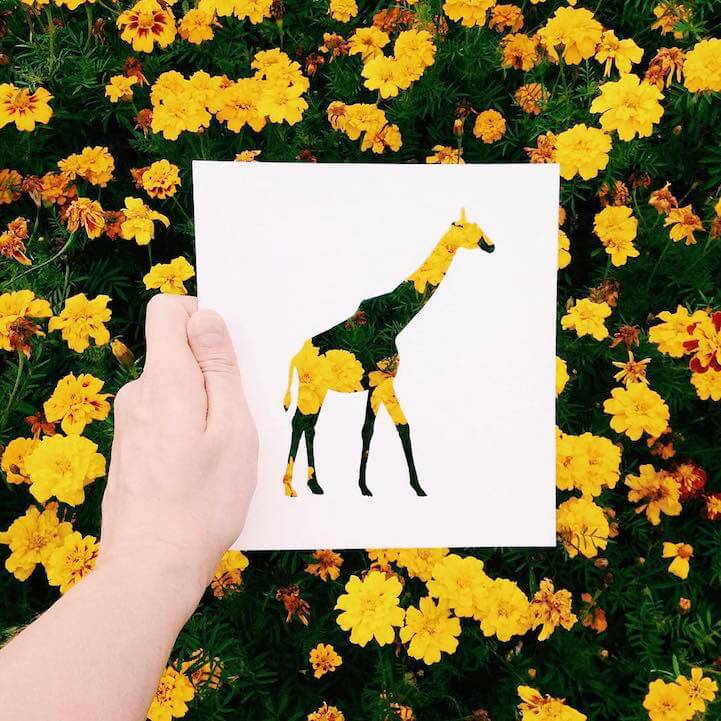 A giraffe’s spots are simulated by flowering yellow buds while thin brown leaves serve as a tiger’s stripes. 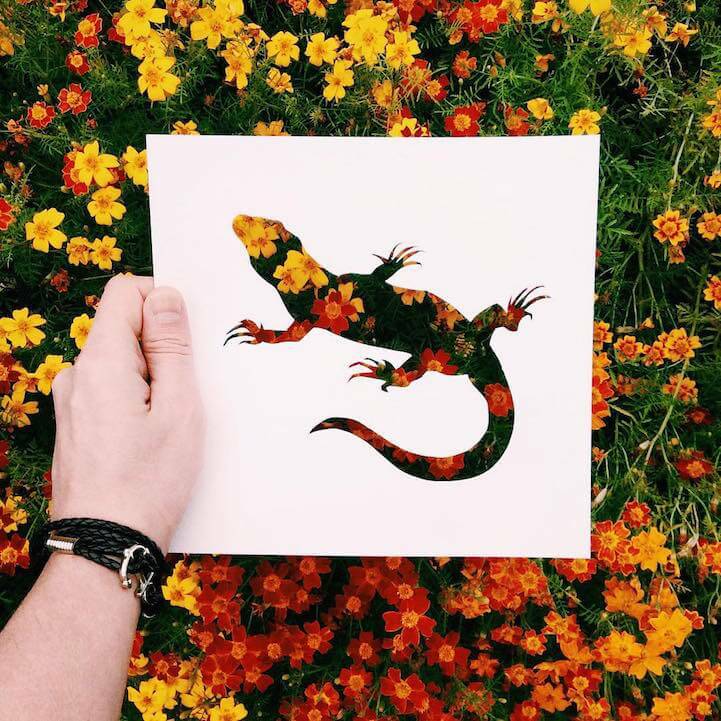 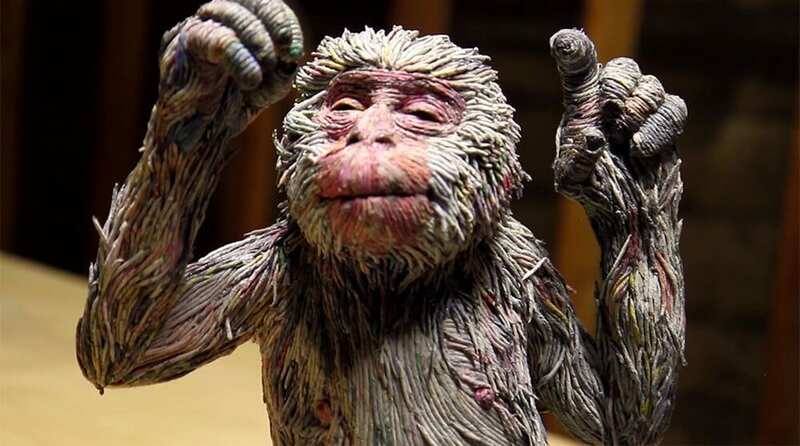 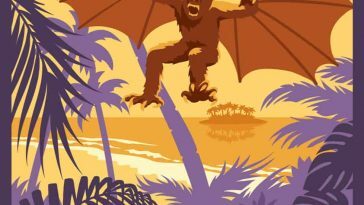 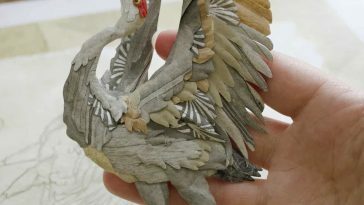 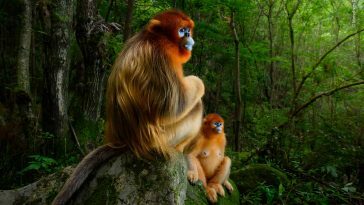 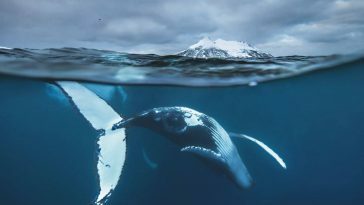 Basically, nature is used to color in the artist‘s two-dimensional zoo.